Clothing that blocks odor, bugs, and sweat sounds like a dream come true for many women. This hoody created by the famous Simms company does just that. Made from a quick drying, anti-odor and UPF50 fabric, it also boasts Insect Shield to prevent bugs from reaching your skin. Not to mention, it has an extended cuff with thumb loops to protect your wrists from pesky mosquitoes and biting flies. 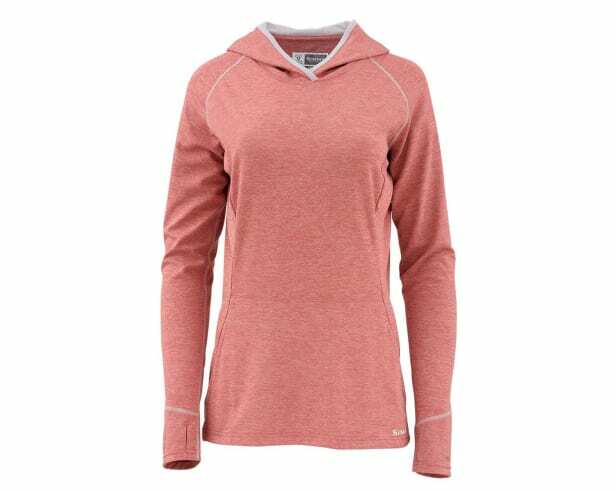 Articulated hood, raglan sleeves and flat-seam construction provides you with maximum comfort and ease of movement for relaxing or being on the go!